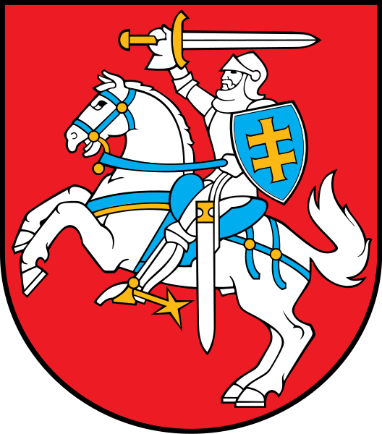 Diplomatic Appointments for the Empire of Europa (which includes the Kingdom of Lithuania) may be obtained by completing the Title Application, and sending the designated donation to His Imperial Majesty King Roman. 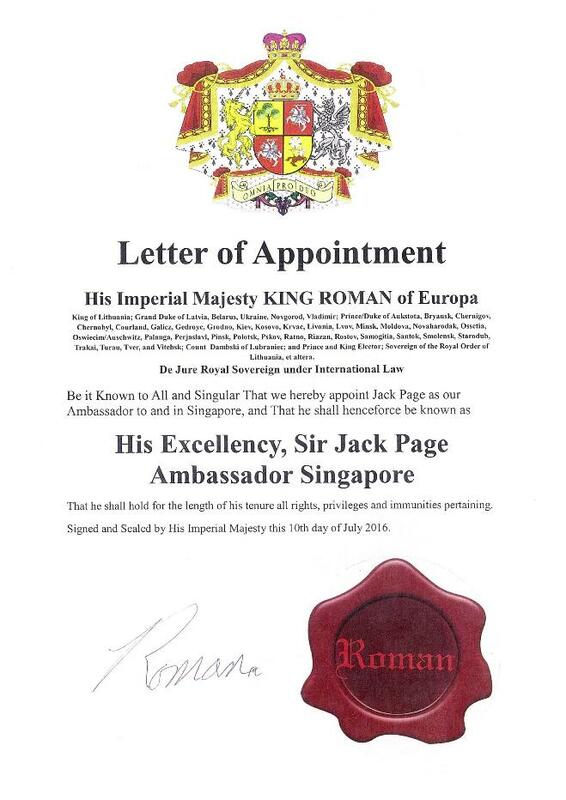 Diplomats are representatives of His Imperial Majesty King Roman I, De Jure Royal Sovereign of the Empire of Europa (including Kingdom of Lithuania) and are therefore required to conduct themselves accordingly, with decorum in all matters pertaining, and to comply with international and national laws/authorities in the exercise of their duties. 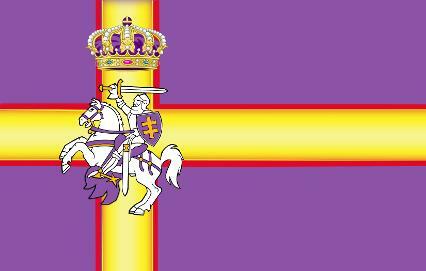 His/ Her Excellency, Ambassador Sir/Lady ....., to (nominate posting) for the Kingdom of Europa. An Ambassador may also nominate appointees for consular positions. Diplomatic accreditation is the process whereby an ambassador is certified as one country's official representative to another. Accreditation occurs when a new ambassador presents diplomatic credentials to the host country's head of state. These credentials confirm that the ambassador is authorized to represent his or her country, and asks that the host country respect this fact. The new ambassador may often be presented at an elaborate ceremony as an official welcome. In accord with the Vienna Convention on Diplomatic Relations, ambassadors are then regarded as having officially taken up their duties. If an ambassador has more than one accreditation, he or she may live in one country and travel to the others as required. This allows one country to have full diplomatic relations with another when a resident ambassador is deemed unnecessary or an inefficient use of resources. Diplomatic seniority is determined by date of accreditation. 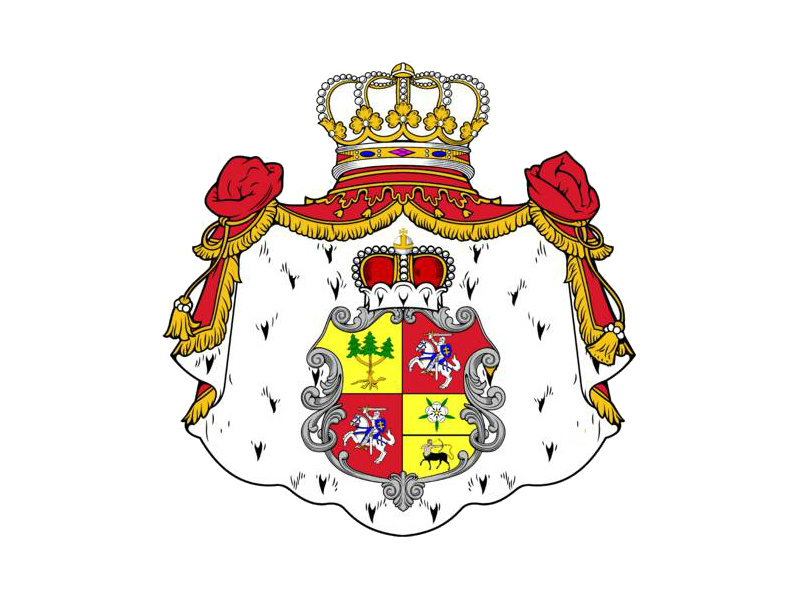 HONORARY CONSUL Sir/Lady ... (US$3,000.00).